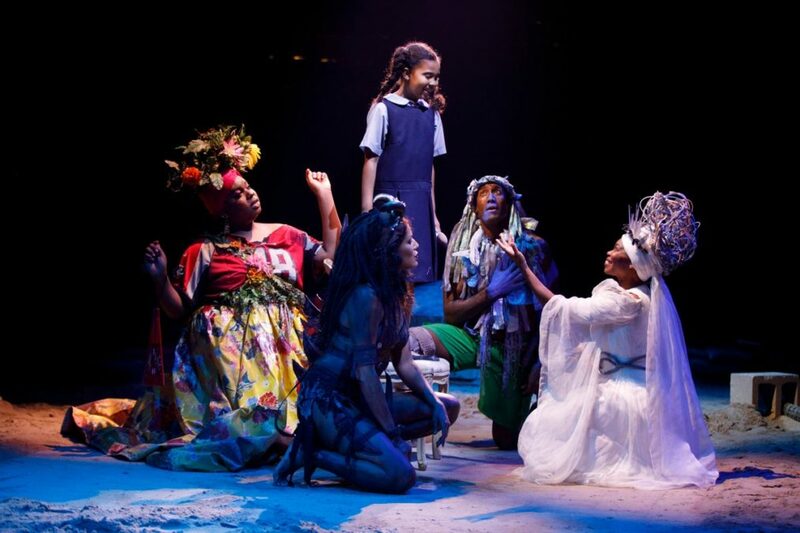 Actors' Equity Association has announced that the 2018 Tony-winning and Broadway.com Audience Choice Award-winning revival of Once On This Island will receive the 11th annual Extraordinary Excellence in Diversity on Broadway Award for the 2017-2018 season. Presented by Equity's National Equal Employment Opportunity Committee, the award honors shows that exemplify and promote the union's founding principles of diversity, inclusion, nontraditional casting and equal opportunity for all who work in the theater. The award will be presented to representatives from the show at a ceremony on August 8 at Equity's New York office. "We are thrilled to honor the Broadway production of Once On This Island with this year's Extraordinary Excellence in Diversity on Broadway Award in recognition of their diverse and inclusive multicultural and gender-fluid casting and the many other ways in which the archetypes of the original production were broken," said Christine Toy Johnson, chair of the Equity's National Equal Employment Opportunity Committee. Past recipients of the award include 110 in the Shade and Les Misérables (2007), Billy Elliot (2009), American Idiot (2010), The Merchant of Venice (2011), A Streetcar Named Desire (2012), Cinderella and The Trip to Bountiful (2013), If/Then (2014), It Shoulda Been You (2015), Hamilton, Spring Awakening and Waitress (2016) and A Doll's House, Part 2, Come From Away and Natasha, Pierre and the Great Comet of 1812 (2017). Actors' Equity Association, founded in 1913, is the U.S. labor union that represents more than 51,000 professional actors and stage managers. Equity endeavors to advance the careers of its members by negotiating wages, improving working conditions and providing a wide range of benefits.